Weakness and Resistance doesn't matter. 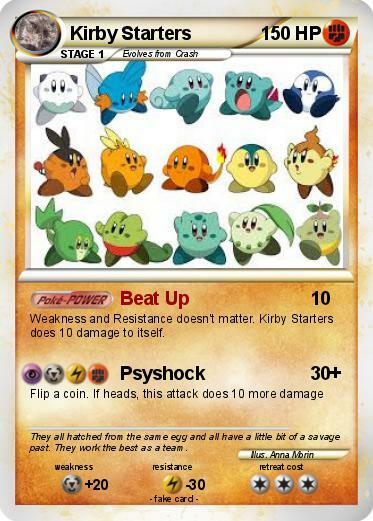 Kirby Starters does 10 damage to itself. Comments : They all hatched from the same egg and all have a little bit of a savage past. They work the best as a team.